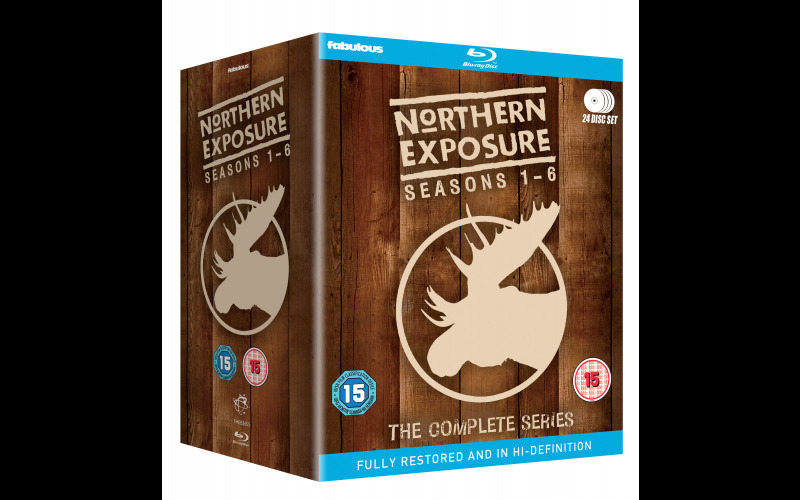 American heart-warming comedy drama Northern Exposure was nominated for over fifty Emmy Awards, winning 7 and nominated for 10 Golden Globe awards, winning for best drama series in 1992 and 1993 and has since become a cult classic. Enjoy once again, now fully restored and in hi-definition, all 110 episodes, over 6 seasons, with all the original music just as you remember it. Joel Fleischman is a nebbishy Jewish doctor from New York City, and a fresh faced medical school graduate. He's also about to begin the four year service contract he promised to the state of Alaska, who financed his education. But he just happened to forget reading some of the stipulations in his contract which has assigned him to the small post of Cicely, Alaska – a town of 215 people that welcomes it's newest resident with open arms. As he contends with the daily lives and rituals of these all too normal and trusting folk, Joel just might realise that Cicely's quieter ways are probably more civilised than the hustle and bustle of Manhattan. Made up of Cicely's various residents, patients and friends of Fleischman include wealthy former astronaut Maurice Minnifield; feisty pilot Maggie O'Connell; mayor and saloon owner Holling Vincoeur; his sweet, naive waitress girlfriend Shelly Tambo (who's old enough to be his daughter); intellectual ex-con and disc jockey Chris Stevens; Joel's far wiser and very quiet receptionist Marilyn Whirlwind; kindly store owner Ruth-Anne Miller, and avid film buff Ed Chigliak.